Consult Dugan Disability Law early in the process to review the particulars of your case. 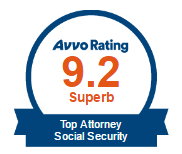 With our FREE consultation, you can learn what to expect in the social security disability hearing process and how we think your case should be presented to the Disability Judge. It is very important that your medical records reflect the reality of your situation. Go to your doctor(s) as necessary, and always be very thorough in explaining everything to your doctor(s). Let them know you are seeking disability. They should be aware that their records will play a critical role in your case. If you do not have insurance, you should seek treatment from low cost/free sources, such as free clinics, county providers, and the emergency room. A list of potential providers can be found here. See our Resources page for other potential help. 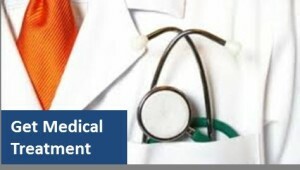 If your case does not have sufficient medical evidence, we will request that you be sent for a medical evaluation. You can discuss this more during your FREE consultation. As the time for your hearing gets closer, consult with us to discuss how your condition has changed. We will evaluate possible witnesses for your hearing, and discuss what your doctors may be willing to do to help. 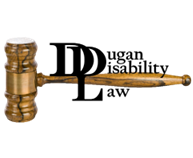 We will give you more guidance prior to the hearing based on the facts of your case. We will even discuss such details as to how you should dress for your court appearance. The Social Security Administration (SSA) begins developing the record on your case when you contact them to file your application. You will need to complete many forms requesting a lot of information regarding your impairments, symptoms, treatment, age, education, work history, your activities of daily living and your pain symptoms. It will be important that your answers be complete and honest. We would like you to discuss the forms with us before you complete them. If convenient, we can do it together. 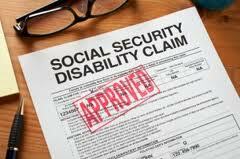 At the social security disability hearing before the Judge, your answers should be consistent with the record. Inconsistencies can cause you to lose your case. Therefore, it is important that we make sure your records are complete and that you are prepared to testify fully to the facts. The SSA denies 66% of cases at the initial application level. According to the SSA, more than half of those denied never appeal their case. At reconsideration, about 82% are denied. At the hearing level, when a person finally gets to go in front of the Judge who is actually going to decide his or her case, 53 % of these are approved. With the help of an experienced and knowledgeable disability lawyer, the odds of getting approved are even higher.